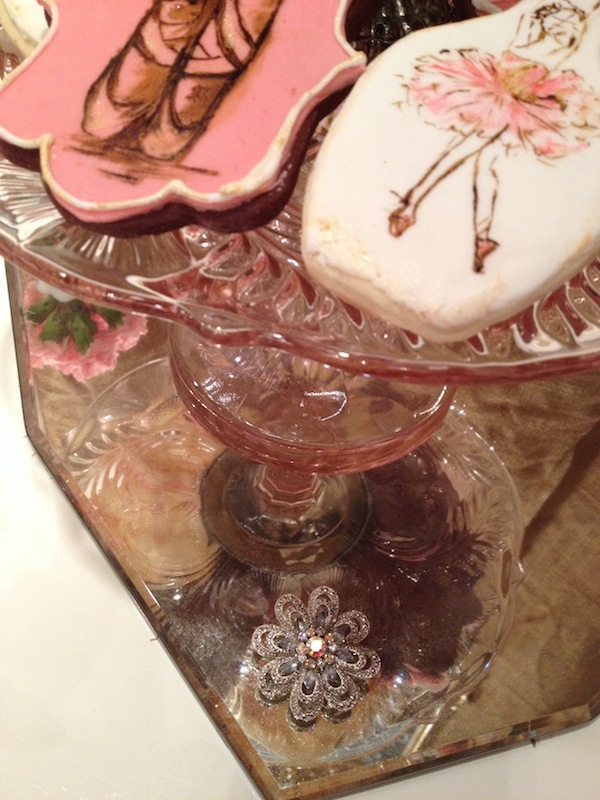 vintage ballerina sweets table | Vintage Y'all! 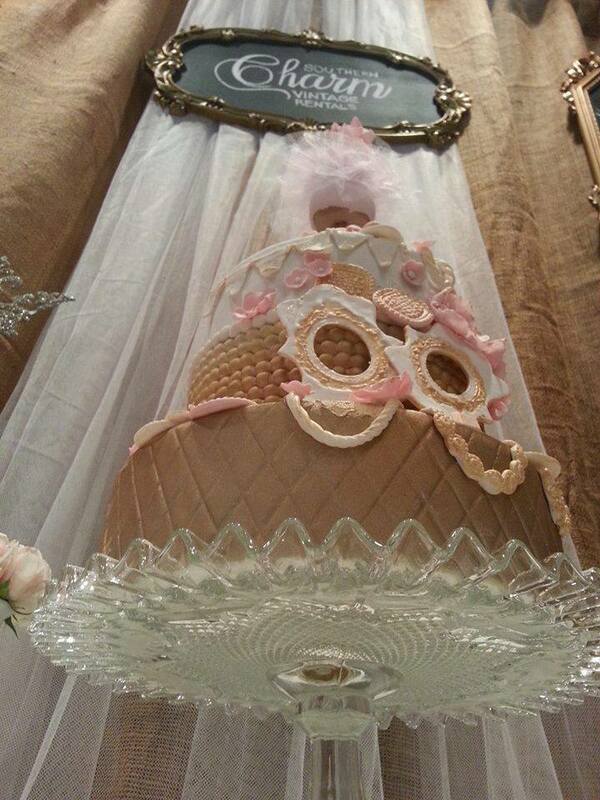 When invited to partner with renowned baker Christina McKenzie of The Cocoa Cakery, I jumped at the opportunity. 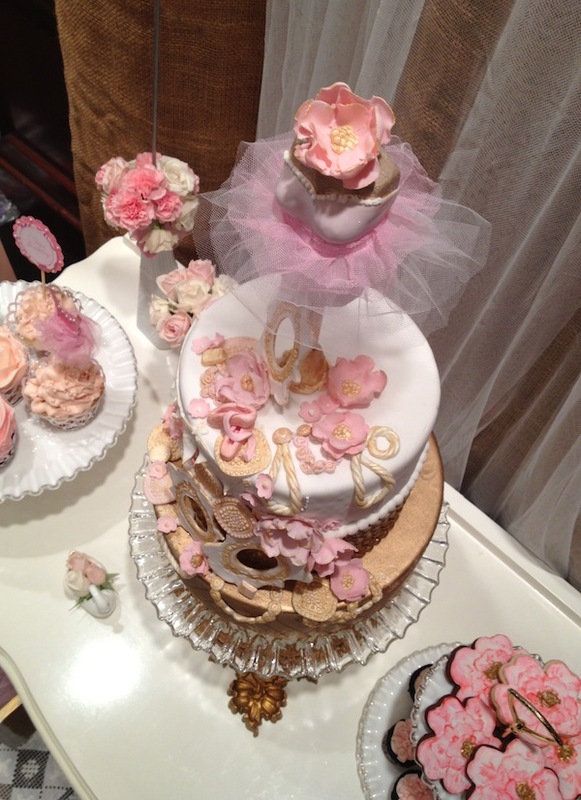 It was for the prestigious High Tea Soiree in Toronto and touted as an event for Posh Mommies and showcasing “the top purveyors in the industry.” A bit intimidating to a company who is less than a year old…yes! Did we leap at the chance, you bet! 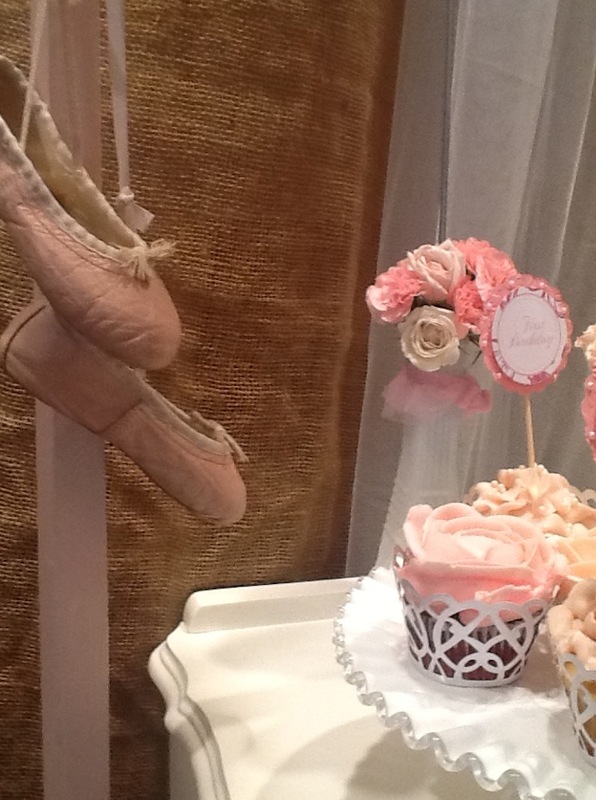 We chose the Vintage Ballerina Theme for one of our displays. The moment we thought of it, it was a natural…and all of my pieces and parts of vintage treasure lie in wait for just such a perfect theme. I was thrilled for a chance to showcase my personal favourite, FENTON GLASS. And in one of its finest patterns — Milk Glass fanciness called Silver Crest. It’s identified by a shiny white glass with various embellishments and edged in a clear rim that tips the ruffled edge. It is beyond stunning and the ruffle immediately screams…tutu!! 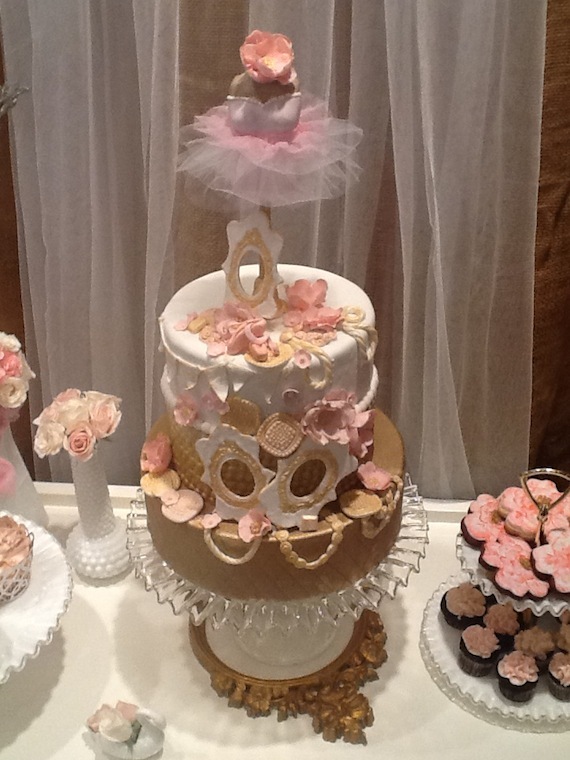 Next I needed a tall, strong piece to hold the “hero”…the awesome couture cake in soft pinks, metallic golds and creams. Simple in colour, ornate in design. A work of art by any standard. So I found a stunning clear ruffle edge stand to take centre stage…as a gorgeous frame encasing art. 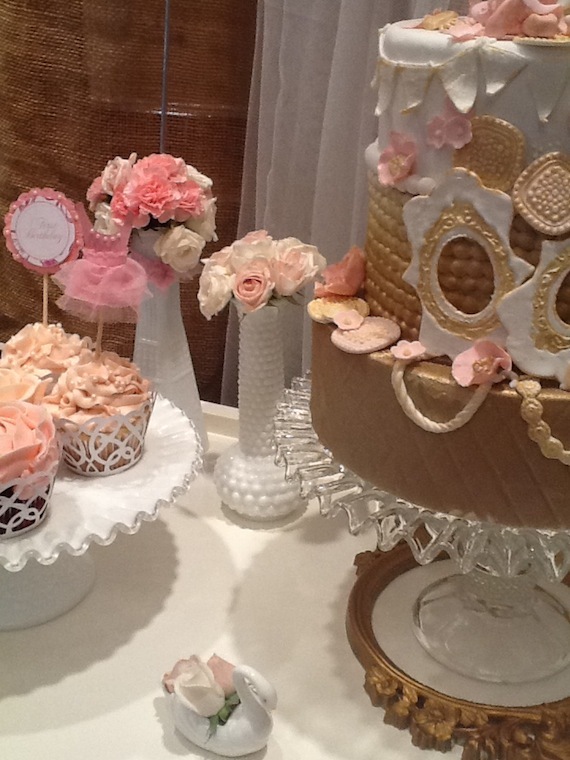 To layer the stand, I tucked in a small round, French, gold frame to echo the gold frames in the cakes design. 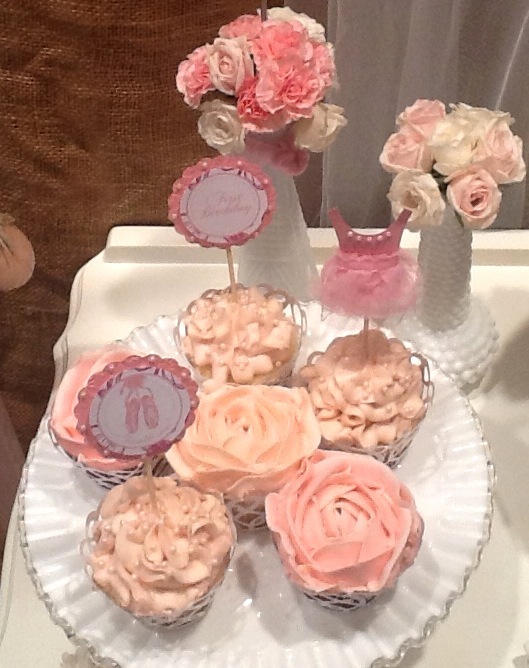 Next, we needed a stand to hold the hand painted flower cookies and mini ruffle, pink buttercream cupcakes. It’s all about varying the height, so I used a 2-tier Fenton ruffle stand, switching out the hardware to gold. Again…felt the wow. 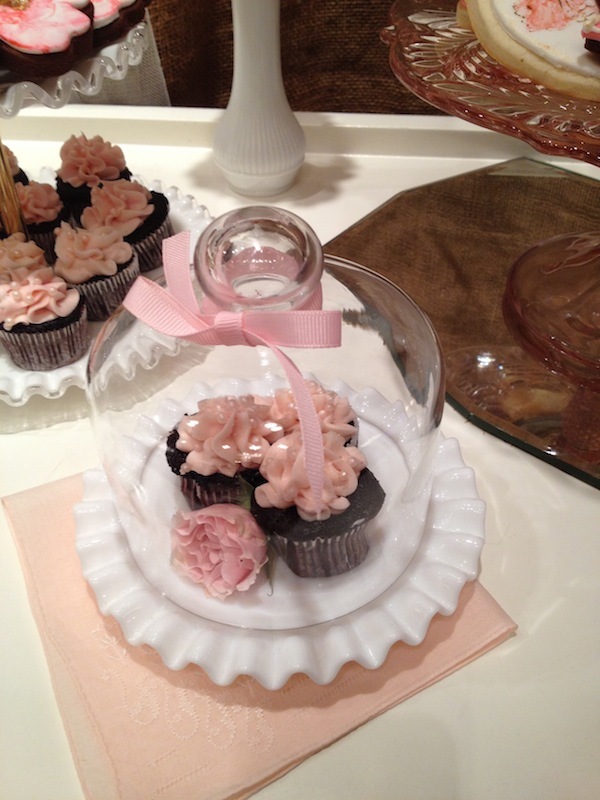 One more white ruffled mini plate…I just added a clear dome, to feature three mini cupcakes and a ruffled rose. 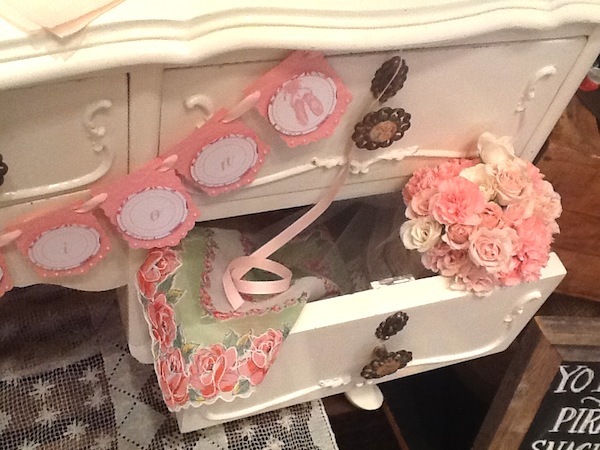 Atop we tied a pink ribbon and below I nested a vintage pink hanky. Now, it was time to break up those ruffles a bit. 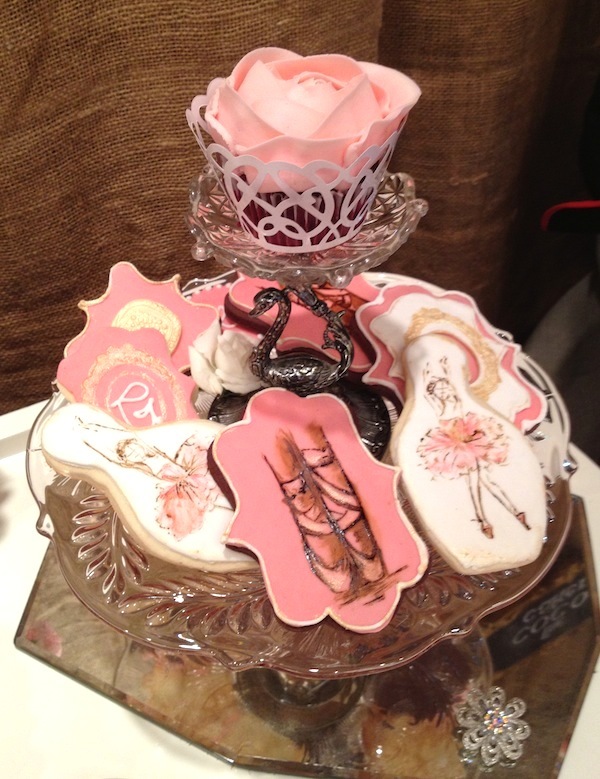 So, a pink stand from the 1920s fit the bill to hold more cookies…but could we get some height on that please. 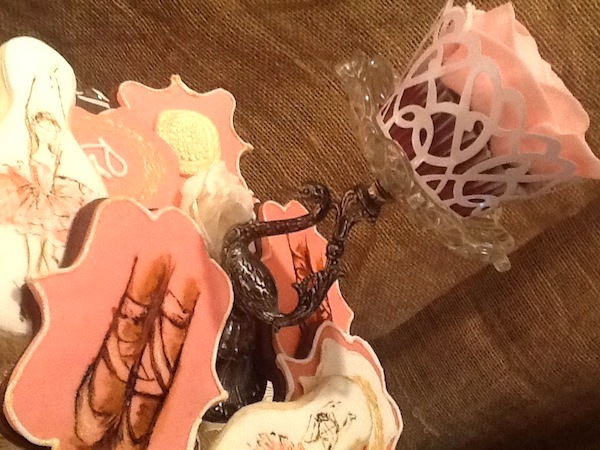 To the rescue, another fave, my silver swan mini cut glass stand. 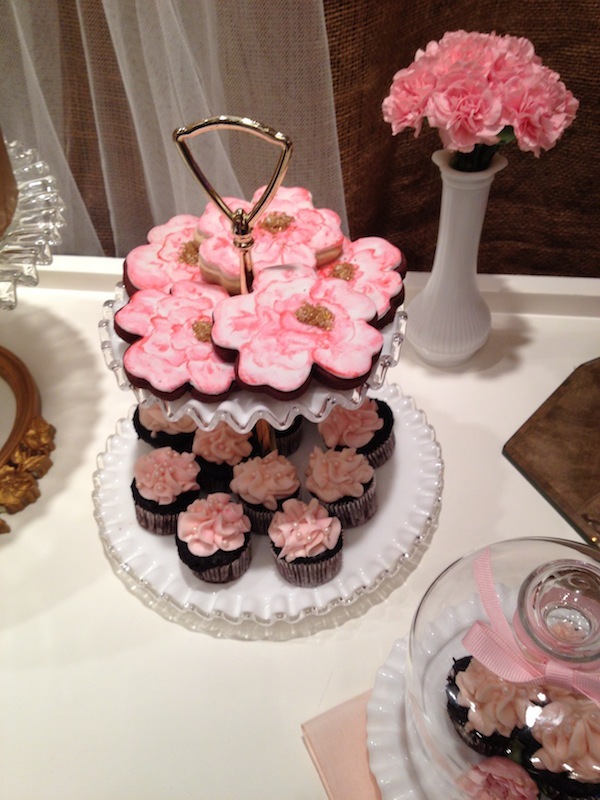 It sat nicely atop the pink stand to feature a rose petal cupcake. Graceful and purdy it was. Hmmm…what next. Now comes the small details. I added a vintage mirror under the pink stand so you could actually SEE the amazing thistle detail so careful designed nearly a century ago. 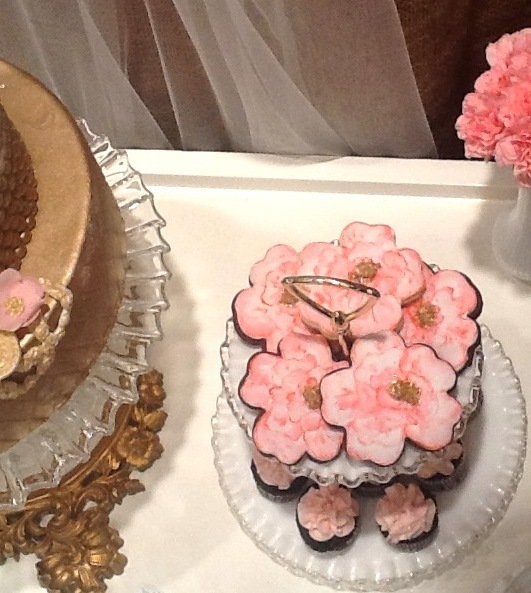 A simple vintage brooch would seal the deal for just a wee more bling. You could sense the ballerina about to attach the brooch to her sash. We added a few long neck milk glass bud vases with ruffled nosegay bouquets, and it was done. Well, until I remembered my coveted mini swan. The delicate figurine would again bring it all home. 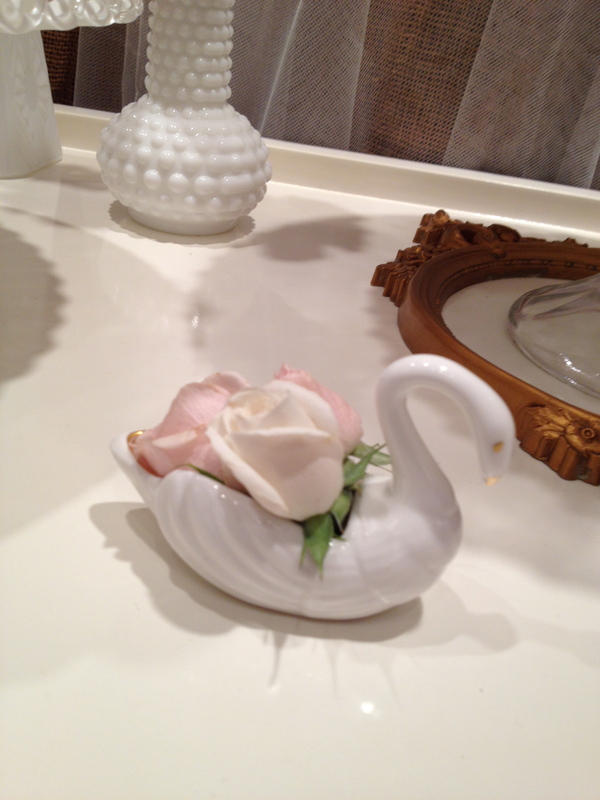 Echoing the other swan feature, hinting at the famous Swan Lake Ballet, and just lending it’s grace and elegance to the set, as it carried three tiny rose buds. Honestly, I could have stared at that itty-bitty swan all day. It was the cherry on top. All of this beauty needed just the right foundation…and that it had in an antique French Vanity I had acquired with this very tablescape in mind. 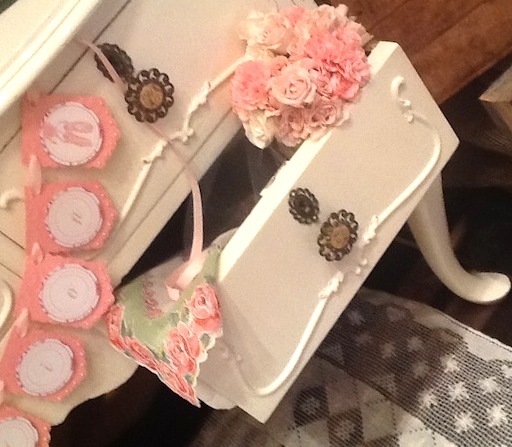 We tucked flowers and vintage hankies in the drawers on one side and soft pink tulle on the other. 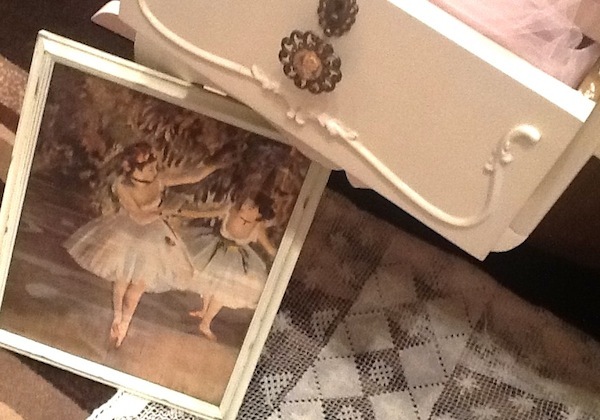 A pennant would hold the name for all ballet lovers to see….”First Position”. 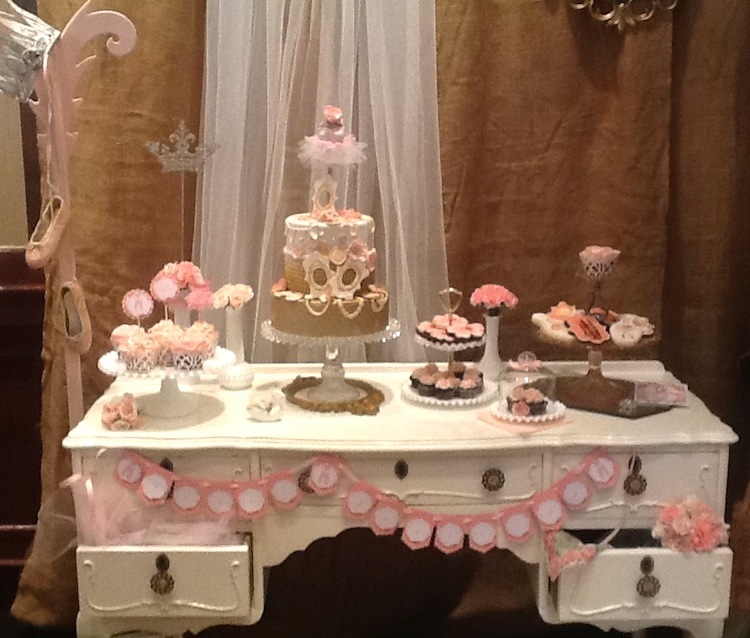 It was a table indeed perfect for some precious little ballerina’s first birthday. 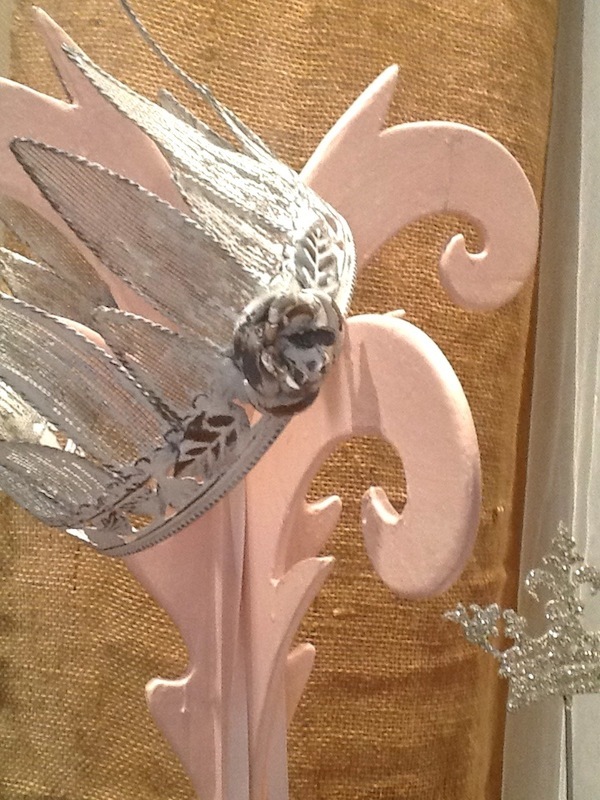 Southern Charm Vintage Rentals in Whitby. 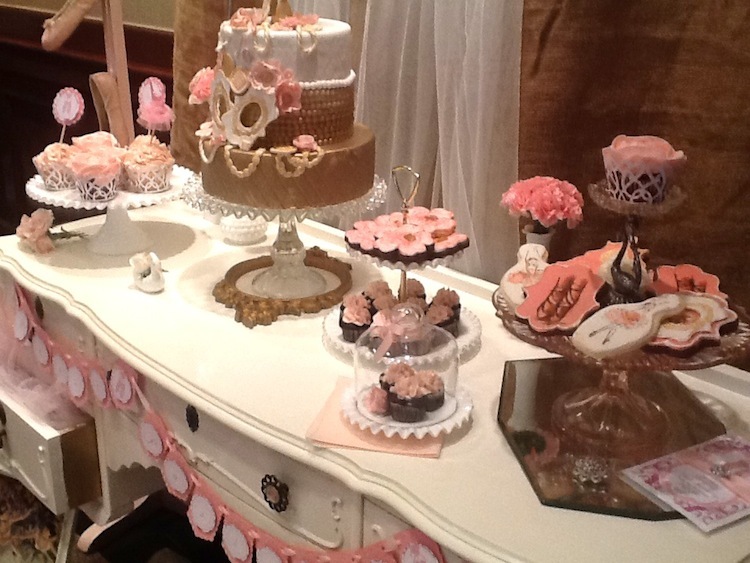 Special thank you to Amy Atlas for inspiring us all to create fabulous sweets table design.